Time flies indeed - last year we featured a few styles for winter weddings. In a couple of months, we will day goodbye to Fall and say hello to Winter. 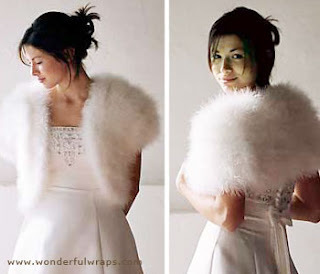 For those of you planning a winter wedding, check out these new winter wedding dress styles for 2009 that we have come across. While the most popular months for weddings are still the summer months, particularly June, the winter season is making a strong run at being the most favored time to get married. There are many excellent reasons to choose a winter wedding, and it is easy to see why winter weddings are becoming so popular. 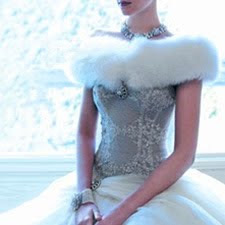 Of course a winter wedding means a winter wedding dress, and it is important to choose that wedding dress with care. After all, the winter wedding dress is the showpiece of any winter wedding, so it is important to choose it very carefully. When it comes to choosing the perfect wedding gown, nothing is more important than the reputation and reliability of the wedding dress maker. There are many vendors who sell wedding dresses, from department stores to chain wedding dress stores to specialty retailers. There are even wedding dresses available online, so it is important to shop around. One of the first places to start the search for the perfect winter wedding dress is the local high end department store. Many of the finest department stores carry a good selection of wedding gowns and other special dresses, so it is a good idea to shop there first. In addition, there are many chain wedding dress makers on the market, and they can be excellent choices for creating the perfect winter wedding dress. Some of these chain stores carry only off the shelf wedding gowns, while others employ seamstresses who may be able to customize the winter wedding dress you prefer just for you. 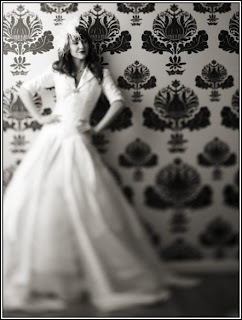 If you need such custom fitting, be sure to ask about it before you have chosen and paid for your dress. There are even winter wedding dress suppliers on the internet, and the web has been gaining in popularity as a source of wedding dresses and bridesmaid gowns. While some brides to be miss the experience of trying on dresses in brick and mortar stores, others enjoy the convenience and low prices of these virtual dress shops. So if you are looking for a bargain on your winter wedding dress, be sure to check online.